Such are the high standards he sets for himself, Jack Crosby was disappointed with fifth place at the IAAF World Junior Championships last summer. However, the 19-year-old is able to feel some satisfaction when he reflects on a season that saw him improve his 400m PB by nearly two seconds to finish 2014 top of the UK under-20 rankings and second in Europe with 46.35. 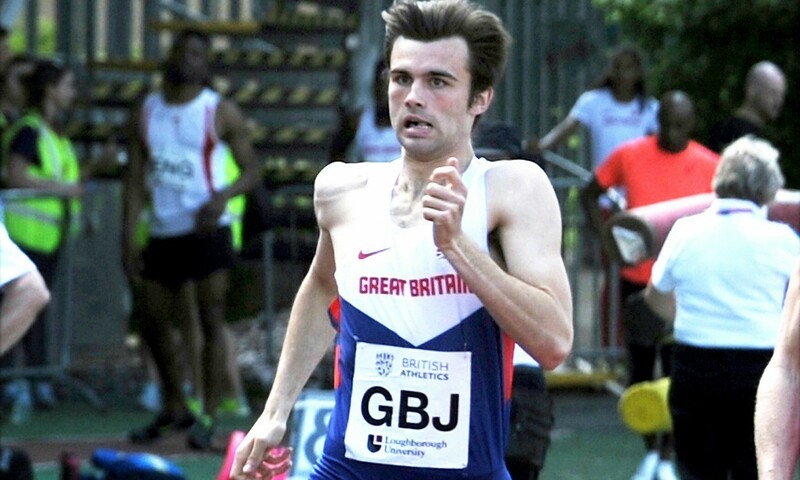 The World Juniors also marked the Middlesbrough athlete’s first international championships. Looking back, Jack feels mixed emotions. “If I’m honest, I had my eyes set on a medal in the individual and another medal in the 4x400m relay team. However, knowing I ran 46.35 in the middle of a championship with very poor race tactics is only more exciting,” he says. So exciting, that the ambitious teenager has set himself bold goals for the future. “In 2015 I want to go to the world relay championships in the Bahamas. “I also want to win the European under-23 championships and push for the championship record. I’m also aiming to go to the Beijing World Championships and run in the relay team,” he adds. But Jack’s aims do not stop there. He explains: “My long-term goals, first and foremost, are the 2016 Olympics. Anything other than an individual spot there will be a failure on my part. I also want to go to the 2017 World Championships and make the final. My main goal would be to one day push for the British and European 400m records. A good 400m runner has to run low 44s to have any chance in major championships,” he explains. The youngster is in good hands, as he is guided by Lloyd Cowan, who coached Christine Ohuruogu to two world and an Olympic 400m title. Having been coached by Rick Betts from when he started in the sport in 2010, Jack recently changed to Cowan, although he has kept training in Teesside. Jack is also full of praise for the rest of his support team. Studying applied sports science at Teesside University, Jack works with Matt Wright and Ade Babatunde as part of Teesside University’s elite athlete scheme to correct his structural weaknesses. “They have a hard role to fulfil, as I’m not the most stable or strongest due to a neglect in strength and conditioning in previous years,” reveals Jack. At the moment, Jack trains on his own, and his favourite training session is split 200s. He runs two sets of 2x200m with 60 seconds rest between reps and 15 minutes rest between sets, targeting 22.5 seconds for the first in each pair and 24 seconds for the second. “It is mentally challenging but worth it in the long run,” he says. You can find further performance stats on Jack on Power of 10 here.